Switzerland is a winter playground packed with activities for kids, writes Sarah Friggieri. Take young kids to Zurich or Lucerne and you’ll all have the longest holiday of your life. Take them to Grindelwald and you’ll never want to leave. 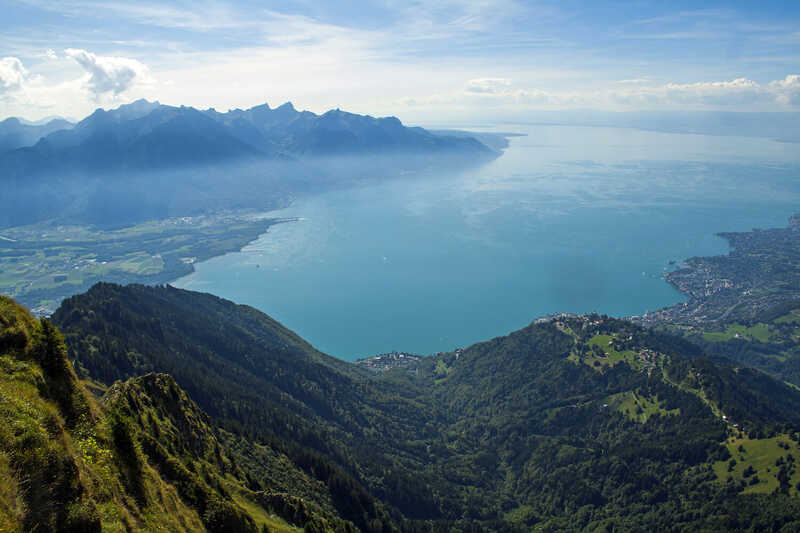 Lake Geneva’s beauty has to be seen to be believed. Picture: Shutterstock. If you’re ready to venture to Europe, check in to Aspen Alpin Lifestyle Hotel and explore Switzerland’s playground. Here are the top four activities your family will love. An hour’s train ride on Jungfrau Railway, through snowy mountains on one side and lush foliage on the other, will take you to the top of Europe. Get some snaps 3454 metres above sea level on the Sphinx observation deck, throw snowballs at each other in minus temperatures, sneak back inside for a hot chocolate. Then take a self-guided tour of the tunnels that make up Jungfraujoch, featuring an ice palace and even a Lindt store. When it comes to capturing the stunning views of Switzerland, you can’t beat First Glider. 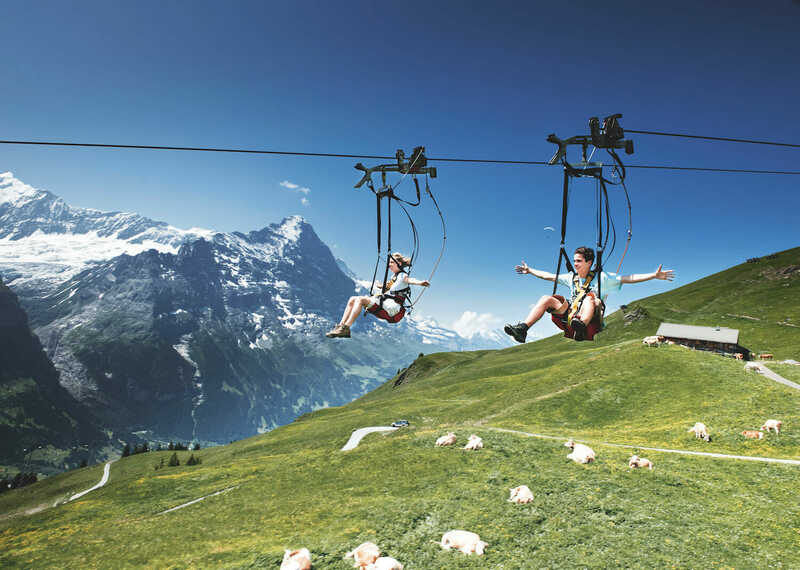 From Grindelwald-First, a cable car will take you almost 2000 metres above sea level to Schreckfeld, where up to four of you can fly 83km per hour under the wings of an eagle. Hop back on the cable car to climb to First summit, where you can all freefall on to the Bagjump. Don’t worry; it’s not that far down. You must take a family selfie on the glass-bottomed platform overlooking the valley and mountainside. If you’ve got a Samsung S9, put it in ‘Wide Selfie’ mode to get the best shot. Lunch at your leisure in what is undeniably one of the world’s most beautiful landscapes. Get your holiday off to a flying start. Picture: Supplied. While the kids and their other carer are indulging in Aspen Alpin Lifestyle Hotel’s complimentary afternoon tea from 3pm to 5pm (or if they’re hitting the slopes; in winter, this becomes a ski in, ski out lodge), treat yourself to some self-care time in the ultra-modern day spa. Book a massage, facial, manicure or pedicure, or simply let your worries drift away in the sauna, whirlpool or chill-out lounges. 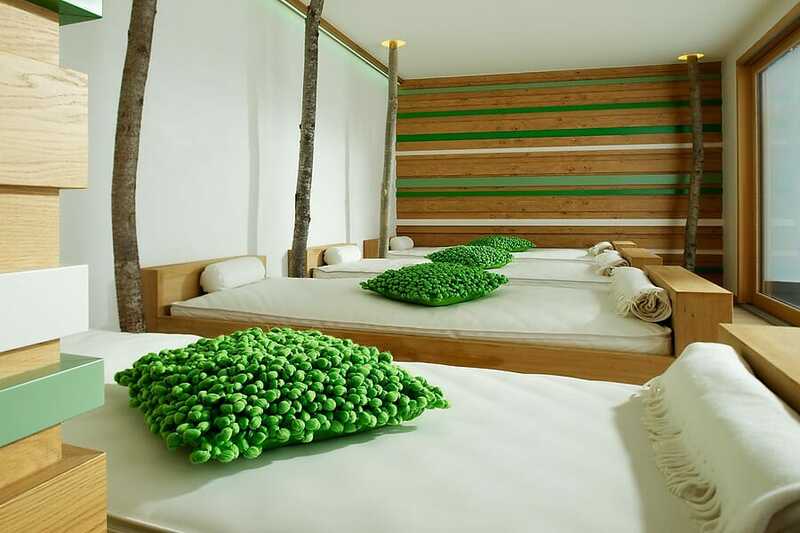 The spa is luxurious and you’ll feel fresh as the snow outside your window. Picture: Supplied. It’s likely you flew into Bern (it’s the closest main airport to Grindelwald), but if you didn’t, take a daytrip there to meet the three cutest bears in their urban home of BärenPark. If you’re lucky, daughter Ursina will be ignoring her parents Finn and Björk (presumably because they didn’t let her go out – typical teenage drama). Once you’ve had a good laugh and shared several ‘naw’ moments, turn to your left to find Eiswerkstatt gelateria, for the best ice-cream in town. Bern is the smallest city in the world to have a metro. Picture: Supplied.